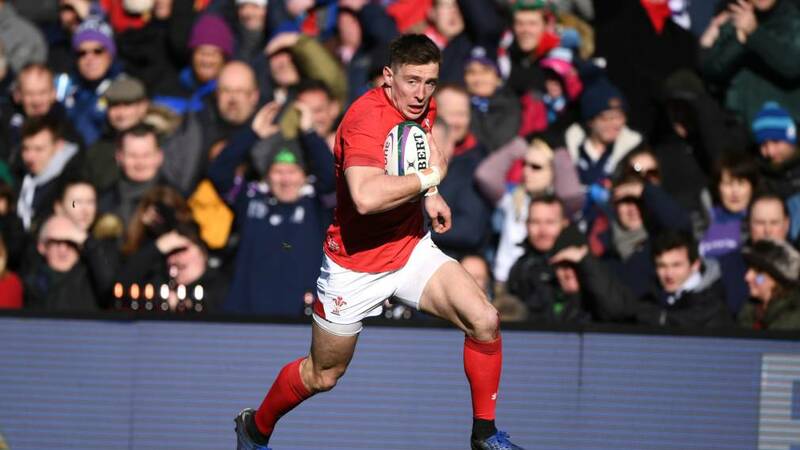 Josh Adams – the scorer of three crucial tries in Wales’ Grand Slam in the 2019 Guinness Six Nations – notched a wonderful hat-trick in a brilliant win against Sale Sharks in the Premiership on Saturday. His triple – all within 25 minutes in a seismic second half – had added significance as it gives his Worcester Warriors side great hope of staving off relegation. After his brilliant performance, the winger – who is returning to Wales with the Cardiff Blues next season – said: “It was so important to get a home win – it’s been a while and I had loads of fun out here today. International comrade Dan Biggar – who put in several stellar performances over the 2019 Guinness Six Nations – helped his Northampton Saints side to a late win at Harlequins. The fly-half kicked two penalties and a conversion in a tight 20-19 win over Paul Gustard’s men – although it was James Grayson who kicked the decisive late conversion to seal the win. Ireland fly-half Jack Carty put in a man-of-the-match shift for Connacht Rugby as they secured a Guinness PRO14 Final Series spot with a win over Cardiff Blues. The 26-year-old – who was rewarded for his fine form with an international debut at the 2019 Guinness Six Nations – dotted down and converted thrice to add to a penalty in a virtuoso performance. The reliable Carty, who took his season points total to 149 in today’s crucial win, said: “I’m glad we could do it today for the lads who are moving on. Teammate Rob Kearney – who starred in Ireland’s brilliant Guinness Six Nations victory over Scotland in February – scored twice for Leinster as they were beaten comfortably by Glasgow Warriors. Despite younger brother Dave also notching a double, his side were comfortably beaten. On the opposing side, Scotland’s Zander Fagerson powered over the line late on to secure the bonus-point win. And in the other Guinness PRO14 fixture, veteran Welshman Hadleigh Parkes was the beneficiary of some brilliant setup play to score the second of six Scarlets tries in their win over Zebre.